To make the vinaigrette, whisk together olive oil, white balsamic vinegar, honey, sea salt, pepper, and garlic powder. Set aside. In a medium saucepan, cook pearl couscous according to package instructions. Cool. 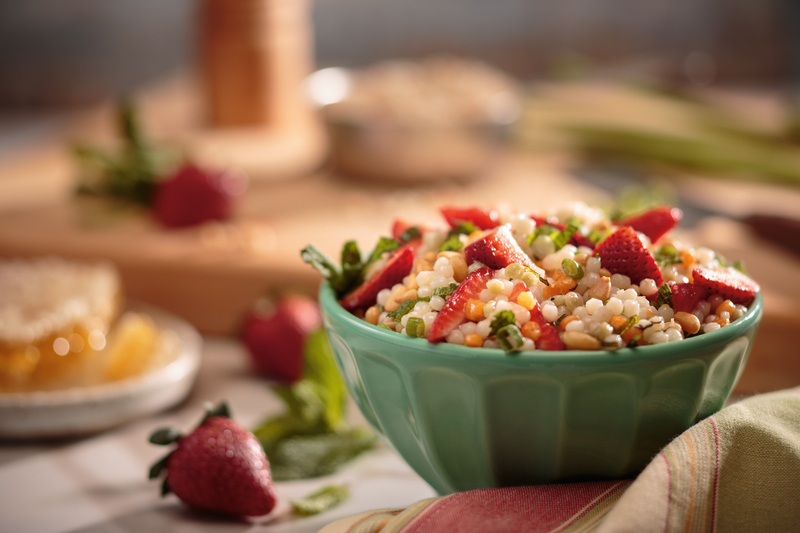 In a large bowl, combine couscous, strawberries, cilantro, and pine nuts. Stir in white balsamic vinegar dressing. Serve immediately..